Proxy servers are the easiest method of surfing the internet anonymously and accessing blocked sites . There are a lot of free proxy services online that allow to surf the internet anonymously . but its always better to setup a proxy server on your computer to surf the internet rather than using a proxy website . Its much easier and saves a lot of time . Lets see how we can setup and use a proxy server with Firefox to browse the internet . First of all lets make a list of things we need to have before we can carry on with the actual process of configuring a proxy server with Firefox . There are a lot of sites on the internet where you can find out about various free proxy servers or you can do a simple Google search and you can find a lot of free proxy servers . If you don’t know where to start then check out these collection of free and public proxies by Hidemyass.com . These proxies are updated in real time and are hosted across various countries . you can even use any country specific proxy to open sites blocked in your country . Note: the proxy servers listed in the above site are all third party open proxies available for public use . We cannot vouch for your security . Therefore we recommend using a proxy server with good reputation from your sources . 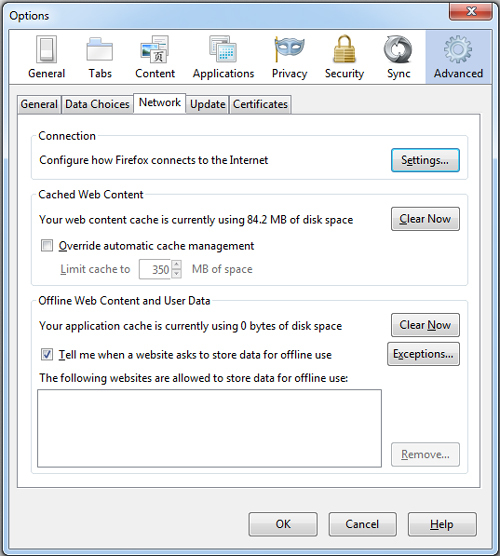 How to setup a proxy server with Firefox . Step 1: Open Firefox and go to options . Step 2: In options click on advanced and select on the network tab . Step 4: select the manual proxy configuration and enter any proxy server details as below. 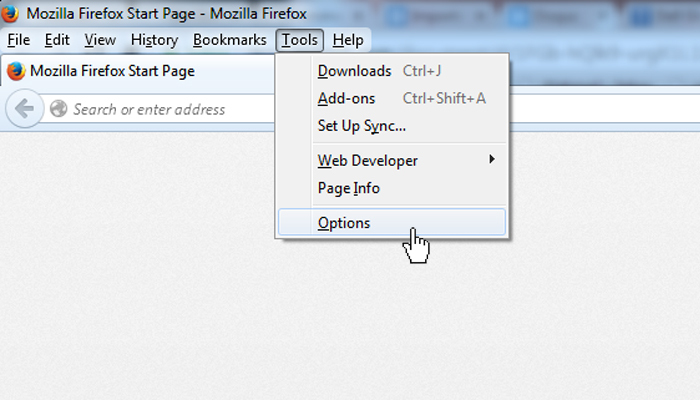 Step 5: Click ok to save the settings and restart Firefox . Firefox will be using the proxy server setup by you to connect to the internet .Now you can enjoy surfing the internet anonymously and without any restrictions . Proxy servers have a lot of uses , most of the time college students take help of proxy servers to enjoy unrestricted internet access from their colleges . If your are a college student then we do not recommend using these proxies for downloading content from the internet . These proxies are for surfing the internet and downloading files using these proxies will affect the browsing speeds of other users on these proxies .